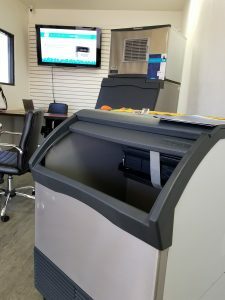 Should I buy or lease my ice machine?? This is a question that we go over with clients on a regular basis, especially when it comes to ice machines. 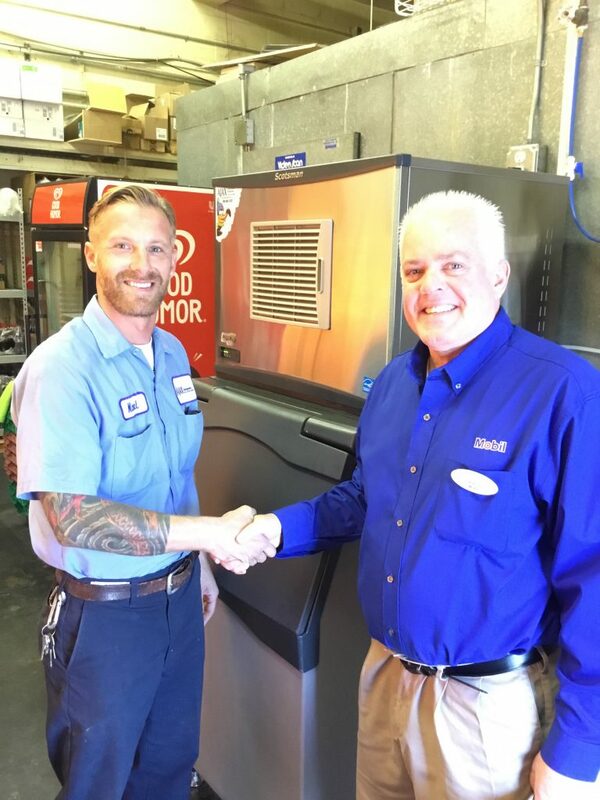 Ajax offers Full Service Leasing on commercial ice machines and select styles of commercial coolers and freezers. We decided to do some research and share the results on the question of buying or leasing. Here’s what we found after some research along with some insights from Ajax. Saves Money. Leasing large commercial equipment, like a commercial grade dishwasher, will help you save your start-up cash for other areas. Instead of paying three thousand dollars for a dishwasher, you could use that money toward your first food order, or your first payroll or your marketing budget. Read more about getting ready to open a new restaurant. No Paying for Repairs. If the equipment breaks, you don’t have to spring for repairs. Easier to Upgrade. When the lease on your commercial restaurant equipment is up, you can get a new model if you choose to renew. Certain pieces of restaurant equipment are better suited to leasing, because of their short lifespan and wouldn’t be worth the investment to buy new. Of course, with any lease, you don’t own the equipment and you will have a weekly or monthly bill. You will also need to sign a contract, which you should review (or have your lawyer review) very carefully, to ensure you understand it and agree to the terms. All benefits of Ajax Full Service Leasing, including removal of the old unit, delivery and installation of the new unit, service repair visits whenever the machine has a failure seven days a week and quarterly PM service. You usually pay higher costs over time than you would if you paid up-front. Most leasing options require interest to be paid as well. (No interest on Ajax lease). The available length of lease terms may be longer than you need. Strict agreements may force you to pay for and keep a piece of equipment for a longer time frame than you require, resulting in wasted funds and space. You will own the equipment, so you can make any alterations necessary. You won’t have to wait for issues to be addressed or need permission to make changes. You will have a higher initial cost as opposed to lower monthly payments that may be easier to budget. It may be difficult to pay for costly equipment all at once. Higher initial costs may keep you from buying exactly what you want and may force you to settle for a lower-cost option. 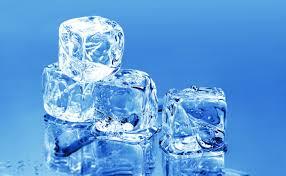 Ice machines are finicky and can become expensive to repair. Manufacturer’s warranties do not cover maintenance issues, which is the #1 cause of ice machine failures (based on Ajax service data). Warranties do not cover nights and weekends and usually the ice machine fails on Friday right before the busy rush. Ajax leases all sizes of commercial ice machines. Owning the equipment your business uses to operate gives you the highest degree of control over how you manage your resources. You can sell the equipment at any time or continue to use the equipment for years if that use remains productive. With a lease, you trade some of that control for more simplicity in the operation of your business. With a lease, the equipment is delivered, you make the lease payments and the equipment is taken away at the end of the lease. You spend little or no time managing the equipment compared to if you owned the equipment. When you lease capital equipment, it costs you just the first lease payment and some fees to get the equipment you need for your business. If you buy you must either pay the full cost or, if you finance, the down payment for regular financing of commercial equipment will be significantly more than the lease start-up costs. Even if you have enough money to buy the equipment, leasing allows you to hang on to that cash and keep it ready for other uses or needs in your business. Lease payments on business equipment can usually be used as a deductible business expense. The tax savings from claiming the leases on your business taxes can more than offset the finance costs associated with the lease. If you buy the capital equipment, you can depreciate the value following the tax rules and if you finance, the interest would be deductible. The buy option increases the complexity of your tax return, and in the best case the tax savings will just equal the result from deducting lease payments. Stocking a restaurant kitchen can be expensive. As you get ready to open a new restaurant, something to consider is whether or not to lease some of the commercial kitchen. While you probably wouldn’t consider leasing a stove or a dishwasher for your home kitchen, leasing for a commercial kitchen often times makes the most sense. When outfitting a new restaurant kitchen it is important to remember the appliances you choose will get a lot more wear and tear than those of an average home kitchen. Factoring the cost of repairs and the time it takes to fix something, it is sometimes better to lease equipment rather than buying it. Leasing can save you a lot of start-up money and come with better/longer warranties than the pieces of equipment you buy outright. Another satisfied customer! Ajax values relationships! By Christopher Montigny for AJAX Refrigeration. 6-6-18.